The journalist James Delingpole disagrees. In an article for The Spectator in April 2016, he took the sceptical position that all concerns over ocean acidification are unjustified “alarmism” and that the scientific study of this non-problem is a waste of money. He concluded that the only reason that the study of ocean acidification was ever funded at all was because there was insufficient (and decreasing) evidence for global warming and it acted as a “fallback position”. Having had the role of science coordinator for the UK Ocean Acidification research programme and being involved in relevant national and international projects for around ten years previously, I know such claims – which Delingpole presented as facts – to be false. I also spotted a range of other errors and inaccuracies in his piece. At the end of a long and frustrating process IPSO’s final ruling was published on January 5 and it doesn’t seem we are much further forward. My complaint was rejected on the basis that the article was “clearly a comment piece” and that it was not IPSO’s role to resolve conflicting evidence for contentious issues. ii) A significant inaccuracy, misleading statement or distortion must be corrected, promptly and with due prominence, and – where appropriate – an apology published. 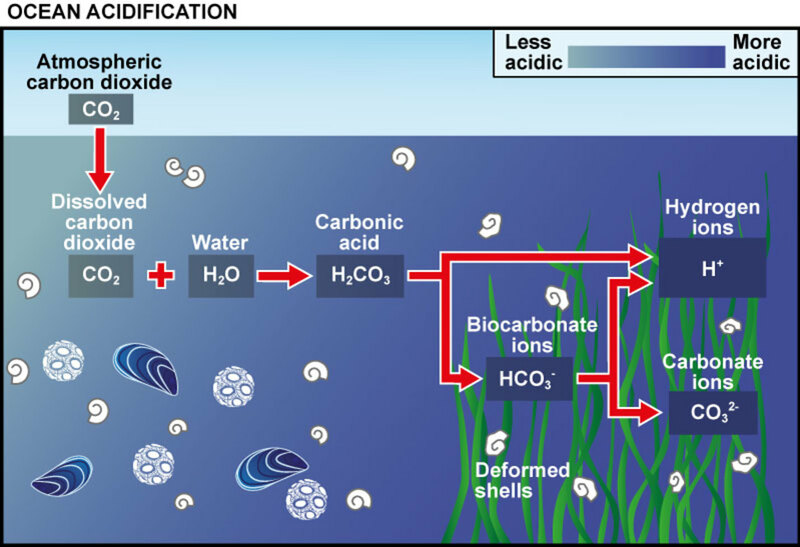 Ocean acidification theory appears to have been fatally flawed almost from the start. In 2004, two NOAA scientists, Richard Feely and Christopher Sabine, produced a chart showing a strong correlation between rising atmospheric CO2 levels and falling oceanic pH levels. But then, just over a year ago, Mike Wallace, a hydrologist with 30 years’ experience, noticed while researching his PhD that they had omitted some key information. Their chart only started in 1988 but, as Wallace knew, there were records dating back to at least 100 years before. So why had they ignored the real-world evidence in favour of computer-modelled projections? When Wallace plotted a chart of his own, incorporating all the available data, covering the period from 1910 to the present, his results were surprising: there has been no reduction in oceanic pH levels in the last century. That might look like a plausible argument based on fact. But the Feely/Sabine chart which was of concern to Wallace was published in 2006, not 2004; the chart didn’t start in 1988, but covered the period 1850-2100; and no data had been omitted, since it showed an idealised, theory-based relationship between atmospheric CO2 and ocean pH. Meanwhile the “real-world evidence” was from extremely unreliable early measurements, uncorrected for natural variability, that when combined gave physically impossible year-on-year changes in global pH. And Wallace’s analyses have not been published in a peer-reviewed scientific journal. Delingpole did not contact any of the individuals mentioned to obtain first-hand accounts of the issues of concern. How ocean acidification works according to the experts. To be fair, several of Delingpole’s inaccuracies, such as NERC (the Natural Environment Research Council) rather than Defra being the main funder of the UK Ocean Acidification research programme, were acknowledged by IPSO – but the regulator ruled that they were not “significantly” misleading, neither cumulatively nor individually. It didn’t seem to matter to IPSO that calling science’s approach to acidification “alarmism” – and implying that researchers have said that everything in the sea will die – is rather different from the well-established scientific knowledge that ocean acidification really does affect sensitive species, such as corals, and will therefore disrupt ecosystems. The press, while free to editorialise and campaign, must distinguish clearly between comment, conjecture and fact. 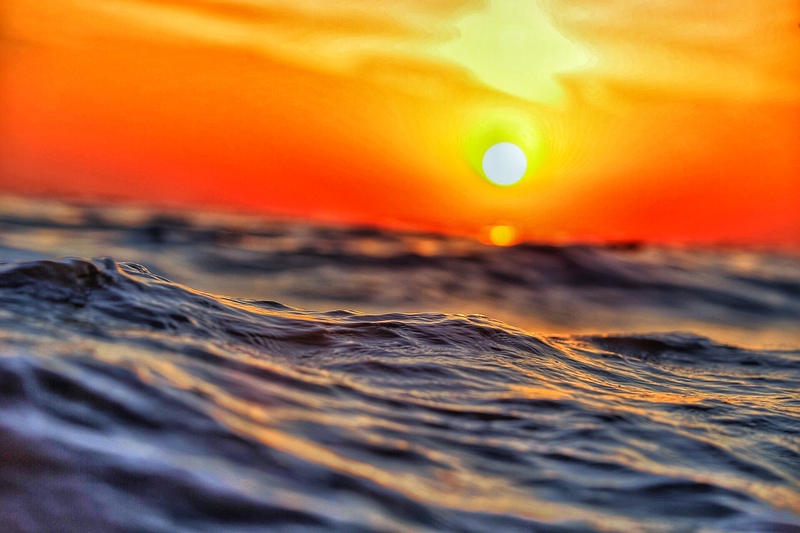 Ocean acidification – the evidence increasingly suggests – is a trivial, misleadingly named, and not remotely worrying phenomenon which has been hyped up beyond all measure for political, ideological and financial reasons. Is this just an honest opinion, a statement of fact, or wilfully misleading and clever rhetoric? That depends on what is meant by “evidence”. If it means quality research carried out by scientists with expertise in the field, the statement is factually incorrect. But if evidence includes anything said by non-experts, such as Delingpole, then that’s an increase, right? All these issues may seem technical or unimportant to anyone but scientists or most of the public. But IPSO’s overall message is that ocean acidification is just a matter of opinion – not a hard-won, testable understanding of the likely effects of human-driven changes on the marine environment. This view of science is pernicious and has serious policy consequences. Why support any research if 250 peer-reviewed papers produced by the UK Ocean Acidification research programme can all be summarily dismissed as worthless? IPSO: a watchdog with few teeth? 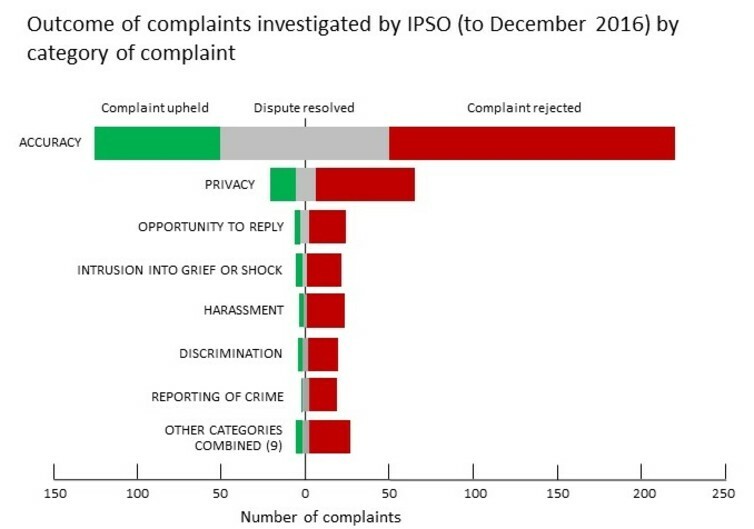 From a back of the envelope analysis of IPSO’s published statistics on its adjudications on complaints it appears that about 18% of those investigated are upheld. I can’t pretend to be an expert on the nature of complaints about the press and don’t know what proportion is vexatious or can be dismissed out of hand, but it’s important to note that the overwhelming majority of complaints received by IPSO – at least 95% by my calculation – are not investigated or taken further, since they come under the heading complaints IPSO could not deal with. This might be good news for publishers, but seems a very depressing statistic for those who feel wronged by the press. Does this really mean that anything goes if it is presented, however tenuously, as “comment” or “opinion”? Doesn’t “care taken” involve basic fact-checking and making a proper effort to contact quoted or maligned individuals before publication? Are political blogs, disputed newspaper coverage and think-tank reports reliable information sources, while properly peer-reviewed scientific literature can be disregarded? There’s a passionate debate going on in journalism at the moment about regulation – and most journalists believe, probably correctly – that the industry should be its own watchdog. But these sorts of decisions make you wonder whether they are up to the task. All this is in my opinion, of course.